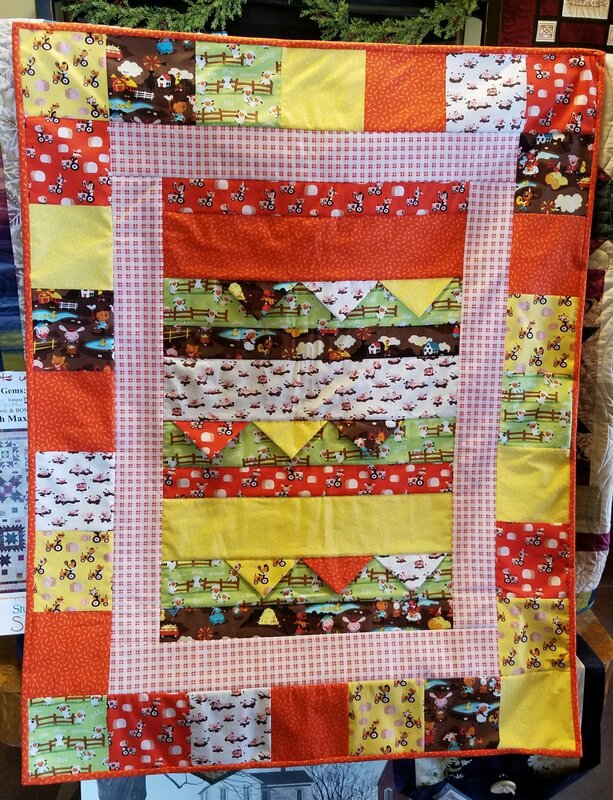 The On The Move Pattern by ge Designs along with the Harmony Farm fabric line by Riley Blake are used in this quilt as you go crib quilt. Kit includes everything needed to start creating this cute littel quilt. Pattern, flannel backing, fusible fleece, binding included. Finished size is 35.5x45.5.